888poker's XL Blizzard was a success for both online superstars and grinders alike. The big day finally arrived. Sunday was the final day of 888poker’s online poker winter series Championship XL Blizzard. After ten days, thirty events and over a million dollars in guarantees, players were ready to compete for the six-figure first (and second) place prize of the $1,000,000 guaranteed Main Event. Along with the Main Event, the XL Blizzard schedule included three additional tournaments that offered another $400,000 in guarantees making the last day worth at least $1.4 million in total. 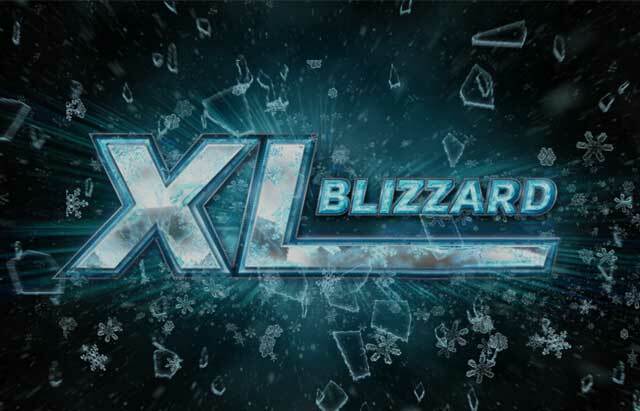 XL Blizzard was the third in the trilogy of XL Championships, that included XL Inferno and XL Eclipse, making it the last chance players had to add an XL Championship title to their resume. With it being the final day, players packed the tournament lobbies and registered in droves, helping each contest crush their posted guarantees. Before the start of the Main Event, the final prelim of the series the $150,000 Mega Deep. The 8-max tournament saw a total of 680 runners, and their 331 rebuys, get the day off to a lucrative start pushing the prize pool to $202,000 – over $50,000 past the guarantee. The $215 buy-in provided one of the largest prelims of the series and the beneficiary was ’TooMuchRake’. There’s no doubt he can afford a little more rake now that took home the first place prize of $38,811.40 after besting PocketFivers ‘Binkasaurus’. The UK grinder also made out, winning $27,297 for his runner-up finish. This marks the third XL Blizzard cash for ‘Binkasaurus’, who currently sits in the top 300 in the PocketFives Worldwide rankings. The reward for his runner-up finish is enough to push him up over $1.8 million in lifetime earnings. The Million Dollar Main Event lived up to it’s billing with 730 players, and 272 rebuys, posting their $1,050 buy-in. It looks like whoever scheduled this tournament was spot on with their estimate of the guarantee as, in this one, the field helped the prize pool exceed the posted guarantee by just $2,000 (or two entrants). Also, as expected, a pair of six-figure cashes were up for grabs with the winner of the event slated to take home a XL Blizzard series high score of $183,867. As the tournament approached the thirteenth hour, the heads-up duel between Lithuania’s ‘Vienas2’ and Argentina’s ‘Pepepepepe.’ lingered on. Finally though, late into the night, ‘Pepepepepe.’ closed out the Main Event, claiming the XL Blizzard Championship and taking the first place prize of $183,867. ‘Vienas2’, who started the heads-up match at a chip deficit also ended up with a massive six-figure score winning $131,262 for his runner-up finish. A pair of PocketFivers made it to the final four, both of whom secured career-high cashes in the process. Finishing in third place was ‘wellyxx’ from Finland. He walked with $99,198 which will put him over $5.8 million in lifetime earnings. Finland’s #3 ranked player, should see his worldwide rankings skyrocket after this performance and is well on his way to earning his $6 million lifetime earnings badge, perhaps, sometime in 2018. Right behind him was Germany’s ‘dr.hAni’. Before his fourth place finish his total lifetime online earnings was right around $100,000. His XL Blizzard payday was for $74,649, absolutely destroying his previous career high cash of just under $23,000. In fact, his last recorded cash was on November 2….in 2015! ‘dr.hAni’ obviously picked the right time to return to the online tables, likely celebrating a major score despite not notching the win. The rest of the final table included ‘Kamphu94’ (fifth for $52,104), ‘eight0808’ (sixth for $42,084), ’Spowi07’ (seventh for $32,064), ‘proplatish’ (eighth for $22,044) and ‘TAPIS_TAPIR’ (ninth place for $13,026. The series came to a conclusion with the $50,000 Micro Main Event. Players didn’t sleep on the chance for one more shot at glory as 1931 players (with 701 rebuys) piled into the tournament and raised the prize pool to a massive $72,380. Canadian ‘jobrazeau’ claimed the final XL Blizzard title as well as $11,436.04 for first. Right behind him, finishing as the runner up was ‘dnv23’ from Germany. PocketFiver Guilherme ‘grdpoker1’ de Moura Olivera from Brazil took the bronze in this one adding $6,217.44 to his over $125,000 in lifetime earnings. Olivera is on a heater, having just scored a career high cash of over $12,000 on January 15. This cash, while half of that is well above average for for the low-to-mid-stakes grinder. And with that, XL Blizzard and the trilogy of XL Championships comes to a close. There will still be the Champion of Champions tournament where one of the top 50 finishers on the XL Blizzard Leaderboard will win a $12,000 World Series of Poker Main Event Package. Additionally, the Bubble of Bubbles tournament will fire, allowing one of the 34 players who earned the dubious distinction of the bubble boy a second chance at turning nothing into something and winning the $3,000 World Series of Poker Crazy 8 package.